When does the Christmas season officially start for you? For some, they don’t even mention the “C” word until we get to this side of Thanksgiving. Others, begin transitioning their homes and the music they listen to in November, gradually easing into the season. That’s the route I’ve chosen to go. I started listening to Christmas music in early November, put up the outside lights the second weekend and basically was all set to take off running the day after Thanksgiving. For those who have a hard time thinking that way, you’re doing it already. You’re a Seahawks fan. They play Sunday. You’re a Husky or Cougar fan. They play Saturday. You don’t hold off on being excited about the Seahawks game until after the college teams are done. You’re excited about both. That’s how I treat Thanksgiving and Christmas. It gives you more holiday bang for your buck. “Julebord” I had never heard of Julebord (pronounced yoola-bord) until I met my wife, Victoria. 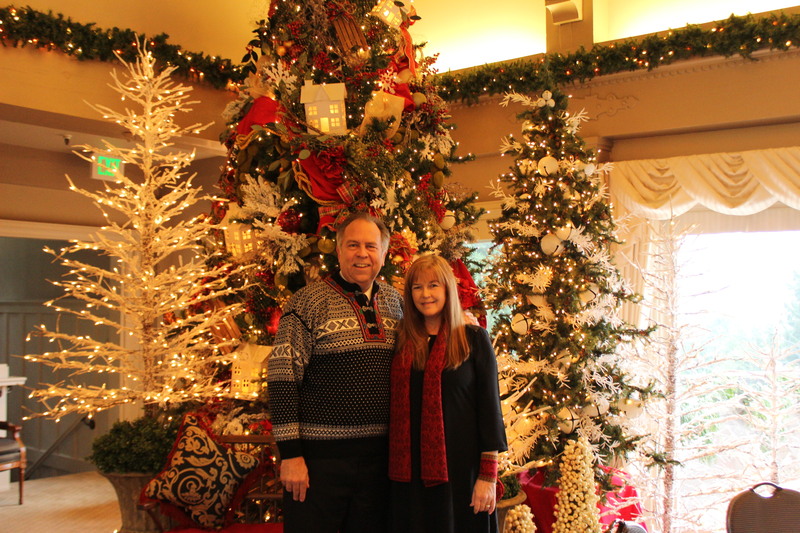 It’s a formal Christmas meal, served at lunch time, in the elegantly decorated Seattle Golf Club, just up the road from our house. I joke that it’s the only day of the year that they’d let me into the place. A nutshell description: you arrive, enjoy a glass or two of champagne and then head upstairs for a lunch that looks like a dinner of roast pork and all the trimmings, non-stop wine, beer and Aquavit (a Norwegian licorice-flavored liquor). There are musical performances (my brother-in-law, Kris, Victoria’s brother, is one of the traditions), plus the crowd is led in some Christmas songs. The first four years, I attended as a guest. This year will be my fourth as their emcee. I’m really excited for this year’s monologue that I do at the beginning to kick things off. Hope to share some highlights with you next week. 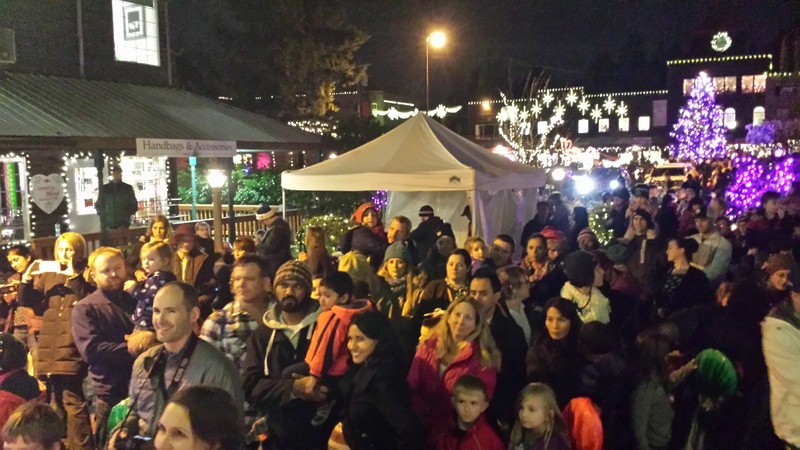 “The Arrival of Santa Claus at Country Village” This funny little tradition started at least a dozen years ago. I show up shortly before 6pm, put on a Dickens-style “town crier” outfit and run around ringing a bell, saying things like “Hear ye! Hear ye! Santa Claus is coming!!”. Then, at 7 o’clock, as a choir sings on the stage, Santa arrives, lights the Country Village Christmas Tree and hands out candy canes until the last child present gets one. Special note–right across the street from Country Village is the annual Lutefisk Dinner at the Bothell Sons of Norway lodge. Every year, a sell-out. 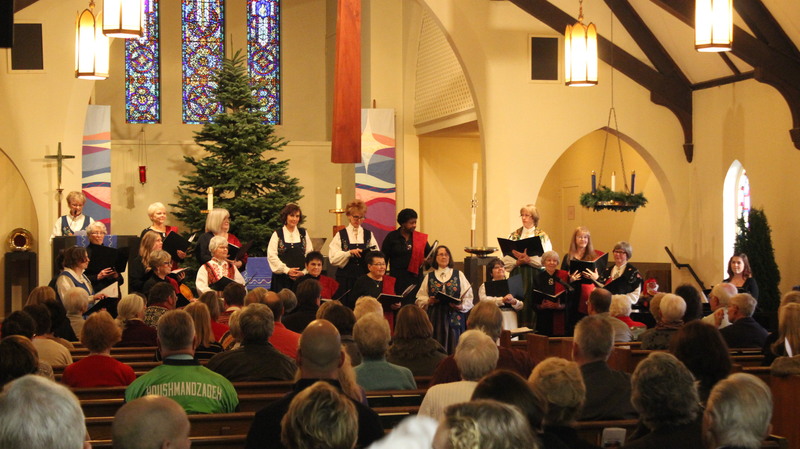 I’d go but, yeah, well, I’m busy…..
“Norwegian Ladies Chorus of Seattle Holiday Concert” The third installment of my holiday trifecta is held every first Sunday of December, at Our Redeemer’s Lutheran Church in Ballard, beginning at 3pm. (Our Redeemer’s is where Victoria & I were married and we’re members there) Besides the ladies’ music, this year they’ve invited Joe Carolus as their special musical guest. Joe is not only a great guy, but one of the most talented pianists you’ve ever heard. A $12 donation is requested and there’s a fantastic dessert buffet following the concert. How can you not break into the Christmas feeling after that 3-day holiday boot camp? Well, if you’re still having trouble, try out my 2015 HO HO BROTHER Christmas CD. Just finished it this week. Yes, it IS Kickoff Week for Christmas.